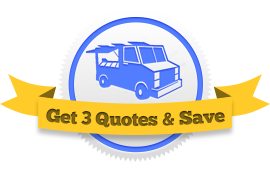 Do you need to find the best food truck insurance companies? Save big by letting three agents compete for your business. Did you know there are over 20 food truck insurance companies? Finding the best company for you takes some shopping. You need the company that is most competitive with your type of operation. We can connect you with 3 agents that will compete for your policy. These agents represent different ins companies so you will be able to shop a much greater percentage of the market without difficulty. Just go here, complete one short form, and we’ll bring you three brokers to compete for your business.